In the first of the JFP One-On-One series, JFP Editor Donna Ladd and Chief Lee Vance discussed many issues surrounding crime in Jackson during a one-on-one interview Monday night at Millsaps College. Photo by Imani Khayyam. JACKSON  In the wake of fears raised after a parent pulled a gun at Forest Hill High School last week, the capital city's top police officer said Monday night that Jackson Public Schools polices itself. "They are a jurisdiction within a jurisdiction," JPD Chief Lee Vance told Jackson Free Press Editor Donna Ladd in a public One-on-One conversation at Millsaps College. "It is a jurisdictional issue with us and the Jackson Public Schools because they do not have security guards, per se," Vance said. "They have a JPS campus enforcement department. In other words, they are certified police officers." JPS Campus Enforcement, he said, is directed by Gerald Jones, whom he previously worked with on the Jackson police force. "They are primarily responsible for investigating crimes that occur on Jackson Public School property." Jones' unit arrested the mother last night with the help of Hinds County. Vance compared the relationship between the JPD and JPS to those between his department and the University of Mississippi Medical Center and the Jackson State University police departments. Vance said that his department will assist these jurisdictional neighbors, but that it is primarily their responsibility. "We will go and help them when they ask us," he said. The question about JPD's role in the public schools came from a local public-school teacher who submitted the question on Facebook for the 90-minute conversation about policing and violence prevention in Jackson, part of the JFP's "Preventing Violence" series. The conversation with the chief started out about his upbringing in Jackson, largely on Wood Street, and how it has focused his style of community-based policing. "I started school when schools were still segregated, went to Mary C. Jones Elementary School. When we went home for Christmas for my sixth grade year, they started the integration process and I ended up finishing my sixth grade year at Galloway," Vance said, tracing his education in Jackson all the way up through Lanier High School to Jackson State University. "And so I love the City of Jackson, and I am very defensive about Jackson," he said. "I just believe in fighting for the things I love." Vance said that his experience growing up on Wood Street in the late 1960s and '70s, although integrated at the time, carried with it some of the issues of the era, including a fence around the park to keep the African American children out. "Wood Street's transition, I think, kind of goes along with a transition that goes on in a lot of neighborhoods. When solid family units no longer exist in neighborhoods, I think that's when they become destabilized and then the criminal element is able to grow and even thrive," he said. "But as the families leave, you start to see the negative transitions take place. And I think that's where Wood Street went from when I grow up there to where it was in the eighties." Ladd asked if the decline in those "solid families" could be in part the fault of drug arrests. "We hear about, and know about the fact that drug arrests and convictions actually help break up families in many cases," Ladd said. "What came first? Was it because of drug activity that families started to break apart?" Vance attributed the breakdown more to disinterest in proper child-rearing. "In certain situations, when certain families either get disinterested, get too old, to be quite frank with you, to control their kids, and then the kids are left to be taken advantage of by people with bad intentions, there is the opportunity for that type of element to creep into neighborhoods, and I think that's what happened," Vance said. Still, it is a myth that poor neighborhoods are filled with criminals, Vance said. The same small minority of residents commits the majority of crimes, he said, echoing national research trends. Repeat arrests, he said, are the most frustrating part of his job. Crystal meth and crack take law-abiding citizens and turn them into criminals, he said, "robbing you of your values system." Although meth started out as a more rural and suburban drug problem, it is now moved into the City, he said. "I think we spend too much time arresting the same people over and over and over and over and over again," the chief said. Not to mention, constant arrests in neighborhoods can fuel distrust, especially when they're done in a blanket fashion, such as the stop-and-frisk craze in New York City that targeted black and Hispanic residents, with very few resulting arrests until a federal judge ruled them unconstitutional. "This stop-and-frisk stuff, it was crazy," Vance said. "I think they were giving in to a lot of pressure ...." That is, police were told to enforce lesser crimes to catch people with guns or who were committing a worse crime. "Well, their crime statistics did come down," Vance said of cities such as New York. "I think it's also fair to say that their community relations did not (improve)." Vance said police locally are more careful with searches. In response to an audience question about when officers have the right to search, he explained: "If the police officer asks you, 'do you mind if I search your car?,' you can say yes or you can say no. If the police officer has the right to search your car, he won't ask you, he'll just search you." When would they have the right to search someone or their vehicle? "If police pulls you over, and you've got three joints sitting on your seat," Vance said to laughter. That is, if evidence of a crime is in plain view. Asked if they can stop someone on the street for a suspicious movement, Vance said, "No, we don't do that here," but added that the "police officer has the right to stop you and make an inquiry." The cops can stop anyone, he said, and say, "How are you doing? Are you on your way somewhere? Do you need some help?" But, he added, the officer can't arrest you for that if you say you don't need any help. Vance said that bad policing causes "an erosion" between the community and the police. "Those things don't have anything to do with enforcement," he said of excessive, disrespectful and even violent policing. In those cases, he said, "institutional control is not what it should be, in my opinion." He added, "When you have that many types of incidents to occur, it should be a no-brainer that you're not going to be in touch with the community." The chief said he continually addresses the need for cops not to over-react on the streets. " We talk about this stuff weekly, daily, in roll calls," he said. "Don't get the wrong impression: We're going to enforce the law (but) a violent episode doesn't have to occur every time you arrest somebody. As police administrators, it's up to us to say, 'This is how we're going to operate. If you don't want to operate like this, you should probably go somewhere else.'" The chief said policing still has a ways to go to repair distrust in black neighborhoods of police of all races. He said that before the 1980s, before the police beating of Rodney King, a black man, was captured on video, intimidation was one of the major tools of police administration. He said that as a young man, he knew that policing needed to change. Now as a chief, he said, he holds his police officers responsible for their style of policing. "My philosophy is the community-oriented perspective," Vance said. He wants his officers to be seen out in Jackson doing more than just issuing tickets and arresting individuals. He said that even when they do have to make arrests or stops, there is no need to be aggressive or rude to get the job done. This, he explained, was a part of melding the community with the police. "You don't get mad to issue somebody a ticket. You don't have to get mad to arrest somebody," Vance said, urging residents to pay attention to the number on the patrol car during interactions with the police. He said that if a citizen calls Internal Affairs (601-960-1331) with that number, it can be traced to the police officer and investigated. "You've got to be able to operate with a cell phone in your face," Vance said. "If they take that picture of you beating somebody down ... that's not cute. I'm not going to try to defend that ... police officers these days have to turn that corner, or they're not going to be police officers long." "I hold them accountable," Vance added about his force. However, he said, "It would be silly for anybody to represent that there has never been a bad police officer in JPD." Donna Ladd and Chief Lee Vance discuss crime, youth violence and alternatives. 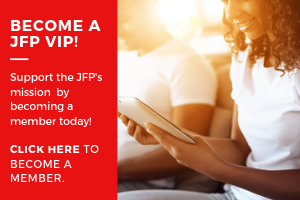 Look for more JFP One-On-One series in the weeks to come and read the JFP's ongoing Preventing Violence series that is exploring solutions to crime and violence. Email city reporter Tim Summers, Jr. at tim@jacksonfreepress.com. 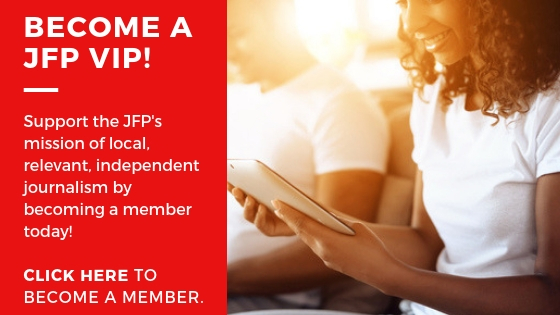 See more local news at jfp.ms/localnews.